Improved mugs with boxes for all true beer lovers !!! Handmade oak wood mug accomplished in a beige (light brown) color. 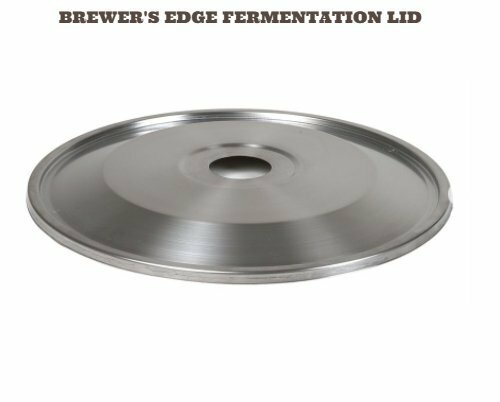 The stainless steel cup inside the wooden casing of the mug will keep the temperature of the beer colder, for a longer period of time during the summer & the temperature of hot coffee or tea in cold winter. Capacity: 20 ounces (0.6 liters). 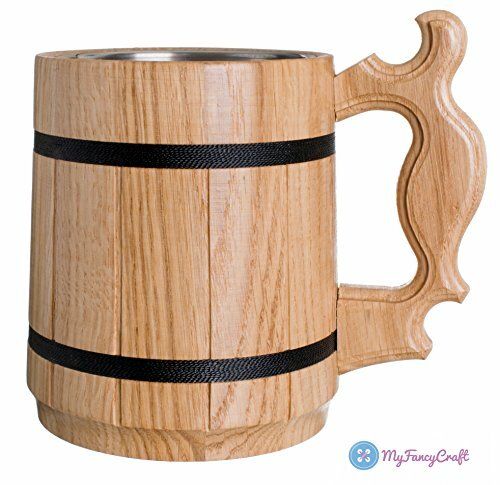 It can be used as a wood medieval mug, stylish renaissance beer barrel mug, grooms or groomsmen gift wood mugs, tankard or stein for beer, coffee, tea or other cold and hot drinks. We love to create fun & awesome mugs for men! Safe: Our artisan uses non-toxic, hazard free paint, intended for the long-term protection of wood. After that, the wood is covered with a water-based varnish, which is also absolutely safe for health. 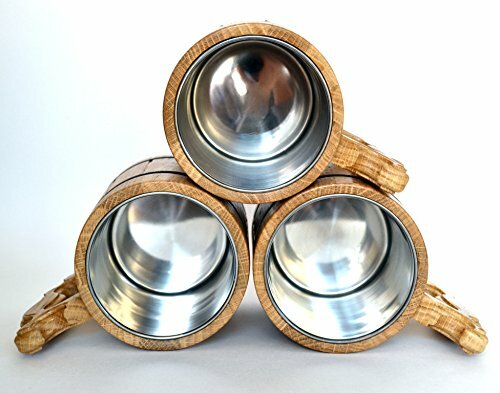 Quality: made of oak wood & polished, metal (stainless steel) flask inside. Please, read care instructions before using our handmade mugs. !!! Limited Special Offer because of a new batch of improved mugs for all true beer lovers !!! 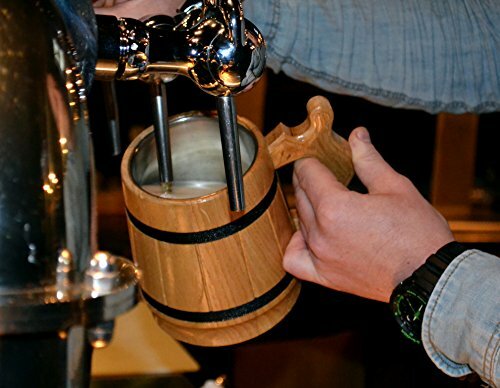 There is no better gift, than a wooden mug with stainless steel cup, for a man or women who loves beer, coffee, tea or other cold and hot drinks. 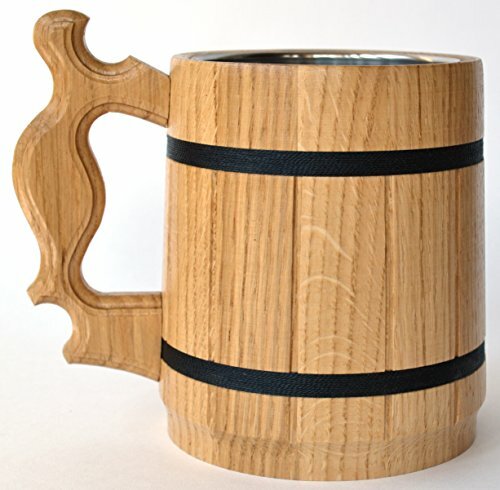 Handmade of natural oak wood and accomplished in a dark brown color, this solid mug gives beer its own particular taste. 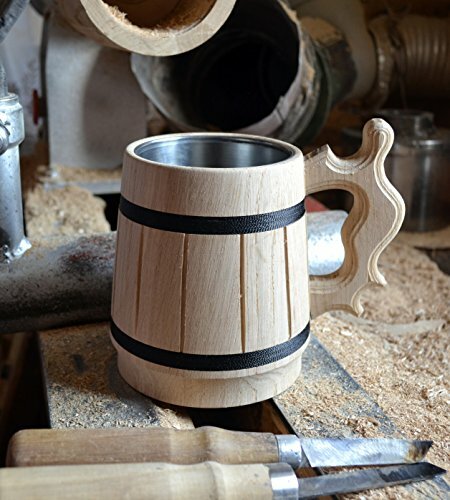 If you are looking for gift ideas for men – our unique handmade wood tankard is a right choice, he will enjoy drinking beer from it. 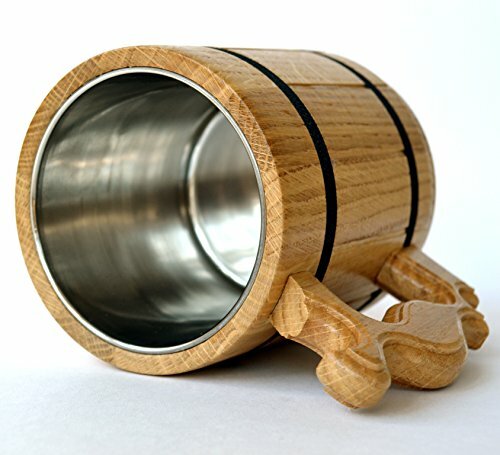 The stainless steel insert inside the wooden casing of the mug will keep the temperature of the beer colder, for a longer period during the summer. 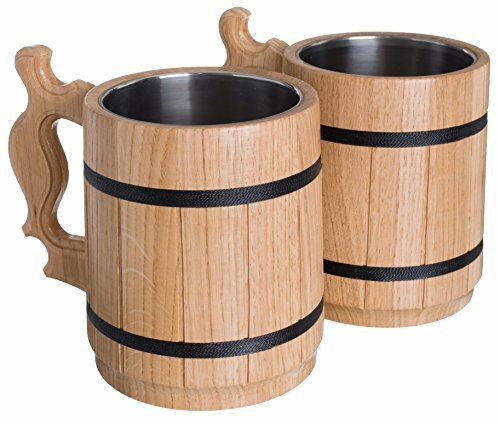 All enthusiasts of beer along with fans of football or soccer; medieval fantasy novels and role-playing games; or just lovers of renaissance stylish and carefully handcrafted oak wooden mugs will adore such gifts! Handmade mugs are a perfect gift for grooms and groomsmen. Unisex: It’s not only a man mug, even kids can use it for hot or cold drinks. 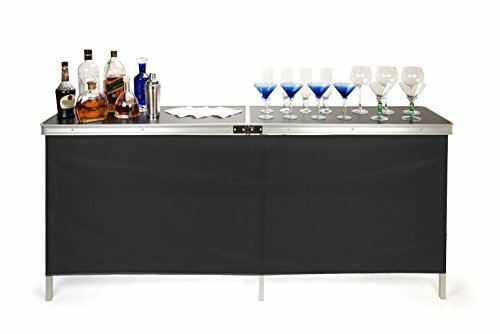 Multi-purpose: for beer, coffee, tea or other cold and hot drinks. 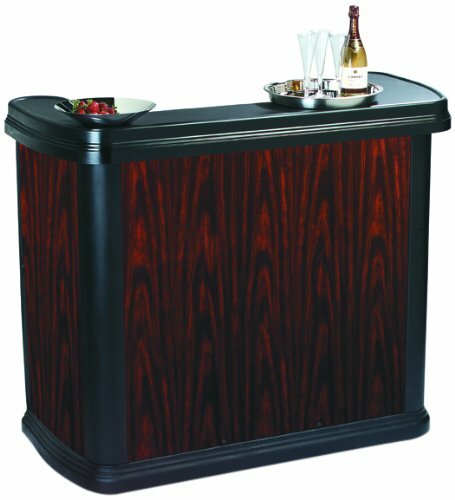 Quality: made of oak wood & polished, metal (stainless steel) flask inside. Variations: in our store, we have the different type of mugs (barrel (round), classic (straight), beige (light brown) color, steins). We can even create a custom wood mug. 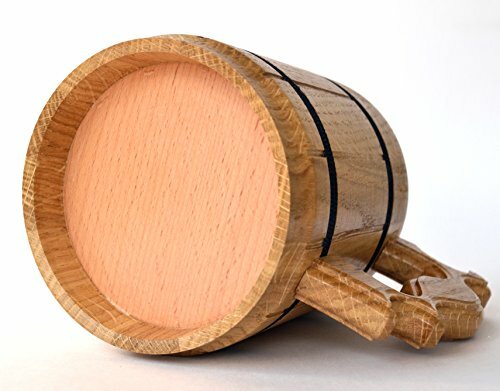 Wooden beer mugs are artificially polished by our artisans, so the wood grain, color, weight, specifications may have a tiny difference, also, for this reason, every wooden product is a unique artwork. 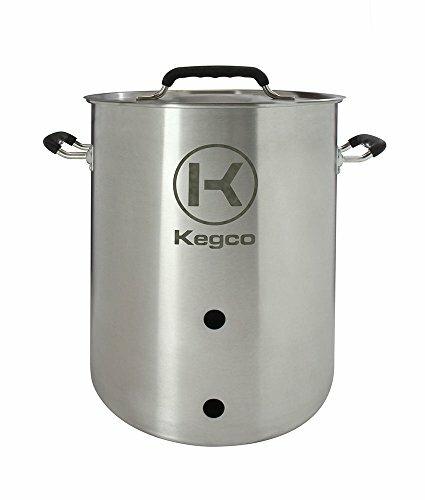 Important -> Care Instructions: This stainless steel beer mug is not dishwasher safe, it must be washed delicately by hand under slightly warm water, using a soft washing cloth.